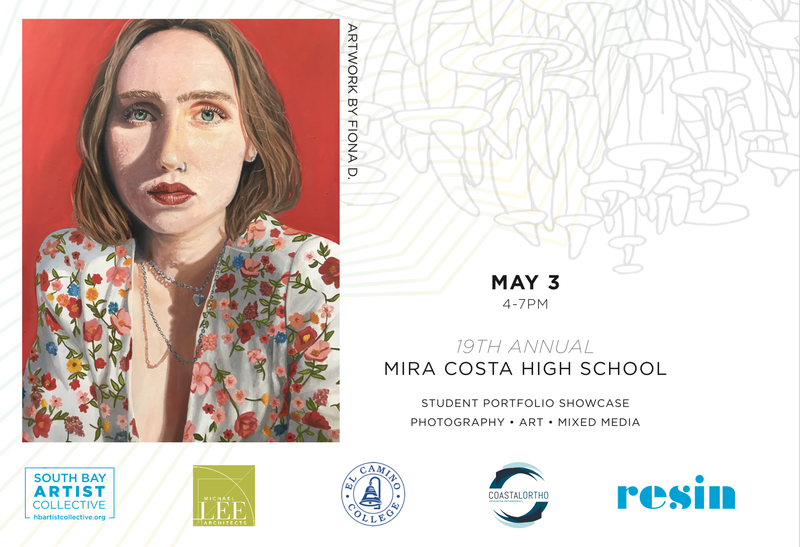 The 19th annual Mira Costa High School Student Portfolio Showcase on May 3rd! Join your favorite student artists at the 19th Annual ‘All Media Show’ on May 3rd from 4-7pm at Resin Studio in Hermosa Beach. For 19 years, MCHS Visual Art students have held an annual “All Media Show” for their “best-of-the-best” portfolio works – a stunning collection that is a full year in the making. Now the MCHS Art Department and booster club (9X12Fund) have partnered with South Bay magazine, the South Bay Artist Collective, and Resin Studio, to proudly present an event to celebrate the best Mira Costa Youth artists. This fun event is FREE and open to the entire community.